188BET Sports Review - Do They Really Offer the Best Odds? 188BET is a powerful online bookmaker which is excellent for football and horse racing. They hold a license in the Isle of Man and are held in high regard in the industry. They attract and retain customers by providing extremely competitive odds and they ensure that users of their site can bet on all of the major sports and markets. In recent years, the firm has added e-sports to their service, and there is now a dedicated section of the site, providing industry news and information on tournaments. 188BET are a forward thinking and reputable firm, who give their bettors great value across the board. Click below to sign up today. UK, Ireland, France, Germany, Italy, Belgium, Netherlands, Portugal, +33 more. This review is for 188BET UK. Can’t sign up? Visit 188BET Asia here. Please note that as of March 2019 the online sportsbook ceased operating in Great Britain, Ireland, Northern Ireland, the Channel Islands, and Gibraltar. It is important for a bookie to cover several sports that form the staple diet of the British punter. Naturally, these include football, horse racing, tennis, cricket, and boxing. Unsurprisingly, 188BET sports have all of these covered, and while their list doesn’t include a huge range of different disciplines, they ensure that all of the major and popular betting sports are covered Furthermore, they deliver strong market depth for bettors. After all, there is nothing worse for the casual punter than clicking on an event you want to stick some money on, only to find extremely limited options. Some individuals like special bets, where you can get big returns for relatively low stakes (first goalscorer, correct score, time of last goal etc. ), and 188BET cater to this market well. That is not to say that aren’t the options for the big hitters – in fact, 188BET also specialise in the type of bets that the professionals primarily focus on. These are the 1X2, Asian handicap, and total goals markets, where the number of outcomes is limited and the margins are at their most competitive. The aforementioned bets can be found in a number of sports but are typically most popular in football. The concern can sometimes be that a bookie will be one sport-centric, and the event in the spotlight is most commonly football. However, customers need not worry, as deep markets and competitive margins were noted across all of the other sports. Take for example tennis, for each match the four main bet types are the winner, set handicap, game handicap and over/under on games. The margins by and large were in the 105-106% which is very competitive industry-wide. We love the fact that 188BET sports have embraced horse racing. They have gone above and beyond by integrating Racing Post ratings, comments, and last run information into the pages to accompany the odds. Clients can watch the action live and bet race to race with ease. It would be remiss to end our analysis of 188BET’s markets without touching on e-sports. Betting on computer games is big, big business and 188BET have some fantastic odds for individuals who want to wager on DOTA 2, League Of Legends, NBA2K or other games. The odds witnessed were some of the most competitive we have seen in the industry, with total book percentages of 105% for the win market common. The full list of events available to bet on at 188BET sports is as follows; Football, basketball, baseball, tennis, volleyball, American football, beach soccer, boxing, MMA, cricket, darts, e-sports, financial bets, ice hockey, lottery, rugby, snooker/pool, track and field and special events. Bookies understand that it is imperative to offer clients incentives in order to choose their service. After all, there are so many choices out that for punters. Of course, attractive odds and a good range of markets are important factors when aiming to entice new clientele, but free bets and sign-up bonuses are typically a major marketing tool. 188BET haven’t dropped the ball in this instance and they devise and implement attractive bonuses and concessions for their clients. The marketing team at 188BET sports will change their sign-up bonuses for new customers fairly regularly, ensuring that they are keeping up with the times. A recent promotion for new customers gave a certain bonus amount depending on how many bets a client struck in their first 30 days after opening an account. Obviously, this aims to incentivise the player to bet more, but they are rewarded duly. In addition to the sign-up bonus, there are sport specific promotions. 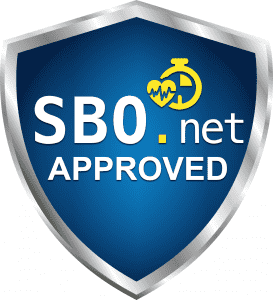 We are big on the racing at SBO.net and users will be pleased to know that they can benefit from daily racing specials. These most commonly include things such as enhanced each-way terms and boosted odds. We love to get that extra bet value and you should too! 188BET like to keep their customers happy and will provide ad hoc bonuses and promotions to individual players throughout the year. As always, with all promotions and bonuses, terms and conditions apply, so make sure you read them thoroughly. Here at SBO, we feel it is increasingly important that bookies develop high-end mobile apps in order to make betting on the move easily accessible. With vastly improved data speeds in recent years, coupled with the proliferation of WiFi in public spots, many punters will now bet while in the pub, on the sofa or at the bus stop. Fortunately, 188BET sports have developed a mobile optimised site that matches the quality of the rest of their service. The site automatically loads when visited from a handheld device such as in iPhone, Android, Windows phone or tablet etc. There is an option at the bottom of the home screen to switch back to the original desktop site view, but as you would expect, when using a smaller screen and without the benefit of a mouse, the mobile version is much easier to navigate and bet with. The mobile site design is slick, functional and easy to master. The list of sports appears on a sliding horizontal menu bar that can be dragged across quickly. The main part of the page is populated by scrolling banners with offers, promotions and games, with the majority of the screen featuring live and upcoming odds. Live chat and support can be accessed by clicking on the menu button in the upper right-hand corner. There is a fine line when it comes to mobile sites; you want to ensure that there is near to comparable functionality when comparing it to the main desktop site, but that has to be balanced with ensuring that it is not data overload, with too much information making the smaller screen cluttered. 188BET sports have done a sterling job of ensuring their mobile site is user-friendly. How to Fund Your 188BET Account? We think that having transparent, fast and free funding is important. After all, there is nothing worse than paying bookies money on deposits and withdrawals. 188BET sports provides customers with a few options when they are looking to fund their accounts. These payment methods give customers the option between the old school conventional way of paying (debit/credit card) and the e-wallets (Skrill, Neteller, Skrill 1-Tap) that are becoming increasingly popular for bettors who want to move their money around quickly and securely. 188BET have ensured that their withdrawals are processed quickly and with minimum deposits and withdrawals relatively low and the maximums high. 188BET take their safety, security, and fairness very seriously. The firm holds an Isle Of Man gambling license and to ensure fairness on their casino and gaming products, they utilise the services of Gaming Labs, a company which tests products. Customers service at 188BET sports is fantastic. There is not much more we find disconcerting and off-putting at SBO.net than when a bookie doesn’t have a comprehensive customer support setup. Being easy to contact is at the top of our list of priorities. Fortunately, there are several mediums through which bettors can get in touch and have their queries resolved. Live chat is perhaps the most convenient option for clients. Representatives are available 24/7 and are knowledgeable, polite and fast to respond. The Help section at 188BET is comprehensive and covers a wide range of areas. We found answers to most common questions regarding everything from the sports to lotto to regulatory queries. In addition to an FAQ section, there is also a rules area which addresses pay-out questions, errors, and other issues. Overall, we are really impressed with 188BET sports. They are solid in all aspects of their business, providing an excellent service that is trustworthy and more than fair. As a bookmaker focusing on the UK market, 188BET have done a fantastic job of picking sports that are popular within the country, and the allocation of resources to the different markets is spot on. Low margins can be witnesses across the board, with 188BET giving clients a fair shake when striking their bets. Any queries or disputes can quickly and effectively be communicated to a customer service representative and we could not find any glaring weaknesses in the service. So click on the link below to sign up with 188Bet and enjoy superb odds, a good range of sports and live streaming!